Economic justice can be achieved through greater transparency. Building ways for reciprocity to flow in our communities is essential. We are facing a crisis of isolation in America, and the pain is palpable. We are hungry for belonging and want to make meaningful contributions. We need each other, and the economy is a place where we come to care for one another. 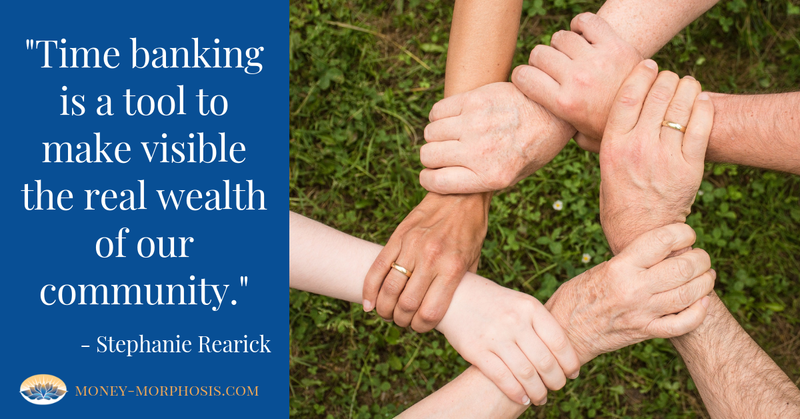 Community resilience comes through healthy interdependence. 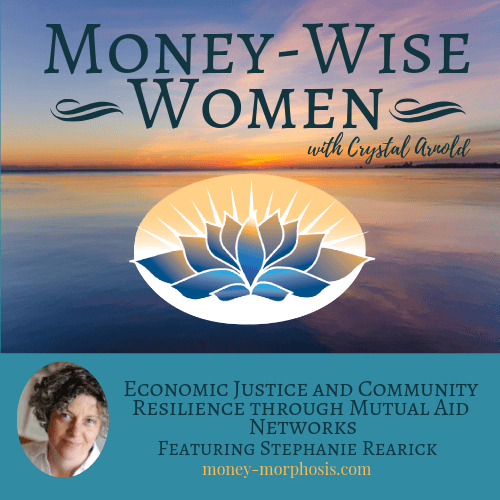 “Money-Wise Women” guest Stephanie Rearick is founder and former director of the Dane County Time Bank, Madison, Wisconsin. This is an egalitarian platform for exchange of services, at an hour-for-hour basis. This Time Bank is one the most robust and successful in the world; thousands have used this one since it was founded in 2005. What is their secret to success? Time banks are most effective when members participate in face-to-face meetings and shared projects. 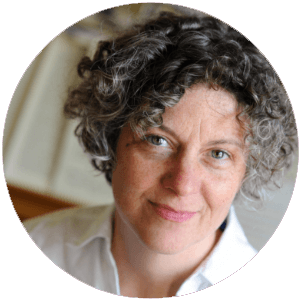 Stephanie Rearick is founder and former director of the Dane County TimeBank (DCTB) in Madison, Wisconsin, a robust system of time exchange. She is also creative director of Mutual Aid Networks, a new type of networked cooperative built to redesign work. In addition to her work in growing grassroots-up economic and community regeneration, Rearick is co-owner of Mother Fool’s Coffeehouse. Rearick also works as a musician. The flagship program for their time bank is the restorative justice youth court. This demonstrates how neighborhoods can provide youth what they need to stay out of the criminal system. It creates an alternative to the school-to-prison pipeline. The time bank has also been used to facilitate regular medical transportation within the area. This Mutual Aid Network is a cooperative with four key mechanisms: time banks, price-based mutual credit, cooperative savings and lending, and cooperative ownership. There are seven official Mutual Aid Network pilot sites that share core values and best practices. There are fledgling programs in England, New Zealand, British Columbia, California, and the following areas. In Madison they are opening a co-working space and community garden with the local permaculture guild. In Pennsylvania, there is a time bank that began in a hospital to create opportunities for veterans, people returning from prison, and opioid addicts. Listen to this inspiring episode of “Money-Wise Women” and hear about this innovative cooperation that is creating economic justice and community resilience.